Did you know we have more lymphatic fluids in our body than blood? Yup! 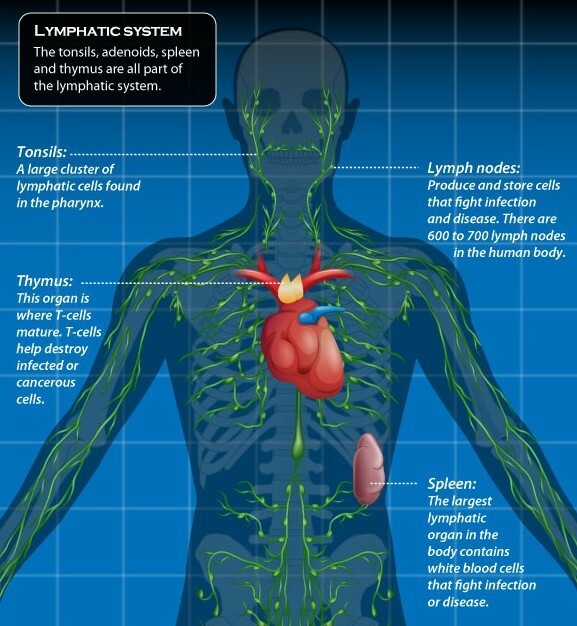 And the Lymphatic system is extremely important in protecting our body from harmful elements in the environment. The lymphatics don’t have a system that moves the fluid like the veins, the movement we get in the lymphatics system is moved by us. We have to walk, run, jump or otherwise actively stimulate our lymphatic system. Lumps and bumps in the lymphatics can be things that your body is protecting you from. Lymphatic massage or even something as simple as dry body brushing or dry cellulite brushing is a great way to stimulate the lymph nodes and help them to function normally. As with any form of detox you are doing with your body, it is very important to drink lots of clean water when you are moving lymphatic fluids. Drinking water is the best way to rid your body of the toxins as you move them, to avoid the possibility of illnesses that can be caused as you move toxins around. These Lymphatic Exfoliating brushes do a great job at stimulating your Lymphatic system.